The moment I saw the new bareMinerals Bare Sensuals Eyeshadow Palette at Ulta, I knew I had to have it. For starters, I love bareMinerals' eyeshadow formula (I think it's so underrated!) and second, I fell in love with the shade selection of pinks, mauves and purples. It kind of reminded me of a grown-up Naked 3 palette without all the glitter! So I ended up purchasing it last week with my 20% off Ulta Platinum coupon and I grabbed the last one in the store, so just a word of warning...these are going fast. I've been using it every day since then (it was the perfect palette to wear on Easter!) and I couldn't wait to review it for you guys. Let's take a look! Expand your neutral horizons with READY Eyeshadow 14.0 The Bare Sensuals. 14 coastal-inspired shades, in soft matte to rich metallic finishes, that provide seamless blendability and pigment-packed color. Wear each solo, or layer them together for a multi-dimensional look all your own. The Bare Sensuals Palette comes housed in a sturdy plastic compact that snaps closed tightly, making it great for travel. Inside, there's a high-quality mirror and a nice double-ended brush that you can actually use in a pinch. I brought this palette with me when I was traveling Easter weekend and I forgot my brushes...this one did just fine. Inside are 14 shades in both matte and shimmer finishes. The shimmers are very subtle...not glittery at all, making this an ideal palette for work (and also for more mature eyes and for those who don't like to wear glitter). The formula is one of my favorites and as I said above, very underrated...I never hear anyone talk about bareMinerals eyeshadows and I have no idea why, except that maybe they don't get enough hype on social media like other brands do (Too Faced, Tarte, etc.). They're highly pigmented, super smooth and silky, and blend like a dream. If I had to compare them to another brand I would say they remind me a lot of Lorac's formula. My swatches below are one swipe of each color on bare skin (no primer). There are a lot of really beautiful cool-toned shades which I don't have a lot of in my collection, but there are also a couple of really pretty warm shades in the top row (Shazam and Cloud Nine). I have blue eyes and this palette is the perfect color selection to make them really pop, but honestly...these shades would flatter just about anyone! Overall, I haven't been this excited over an eyeshadow palette in a while...between the gorgeous shade selection and the silky, pigmented formula this one is at the top of my list right now and I'll definitely be using it all Spring and Summer! As I said above, my local Ulta is completely sold out of this palette already, so if you're interested in purchasing it please don't wait too long! I'm guessing we're going to be seeing that "out of stock" message on the Ulta website very soon. Hi Jen! So glad you loved this palette -- me too! I'm a big fan of Bare Minerals eye shadows and collected all the 8.0 palettes over the years. 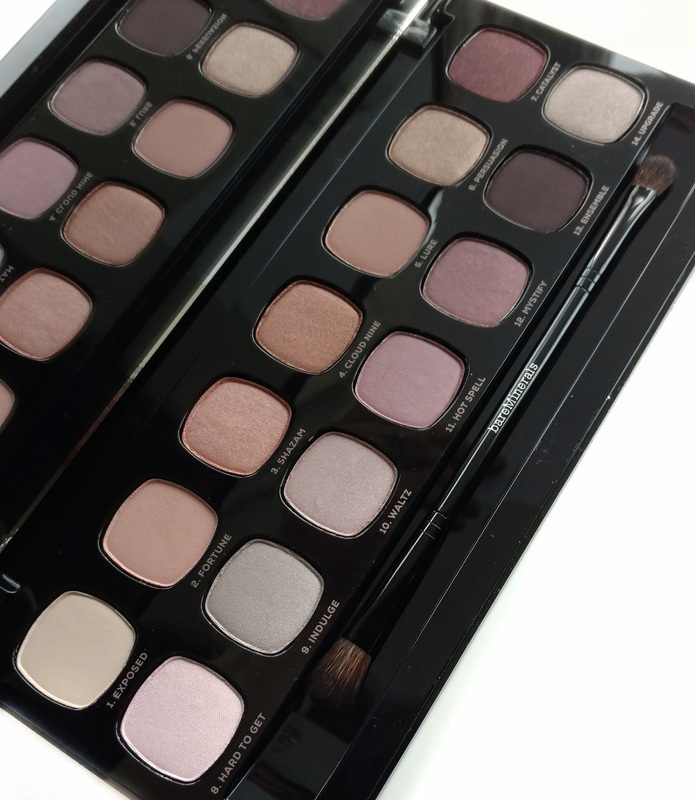 But I like these newer, larger palettes even better and I think the formula has improved as well. I purchased this as soon as I saw it and I don't do that with most brands. -- Christina D.
Hey Christina! I have a few of the 8.0 palettes also but you're right, these larger ones are the best! I bought the two they had over the holidays and still use them all the time. Like you, I was drawn to this one right away...the shades are so beautiful (and I knew the formula would be good). I just bought this on Monday! I only went to Ulta to pick up a new liquid eyeliner, swatched this beauty and knew it had to be mine! I think this is the first eyeshadow palette I've purchased that is 100% wearable for me. I know I'll use every single color and I love how pigmented they are as well. I hadn't even heard about this so it was a great surprise purchase! Is this limited edition or permanent? It looks beautiful! 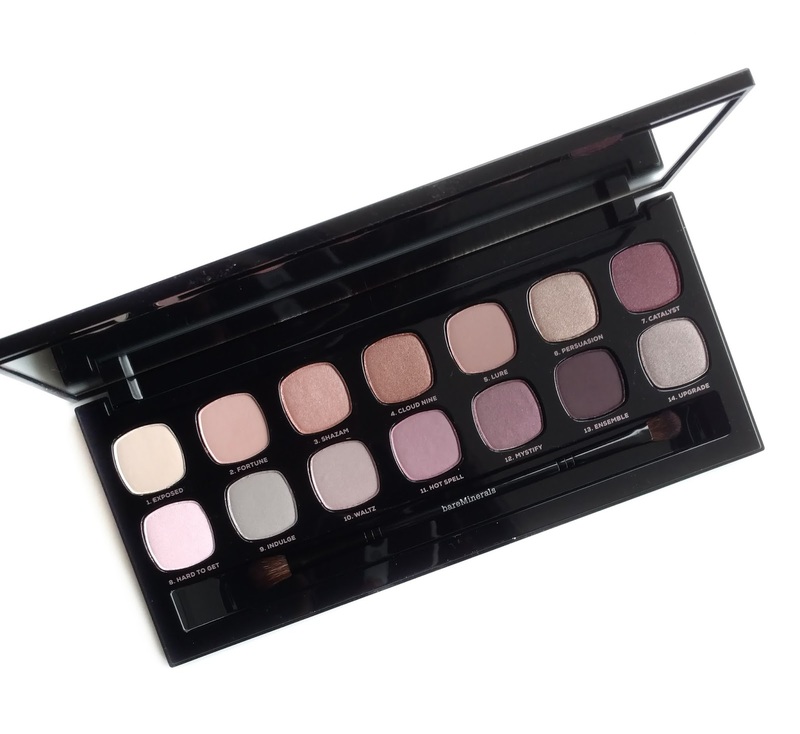 Color wise it looks similar to the Eye Art Artist palette from Laura Mercier. 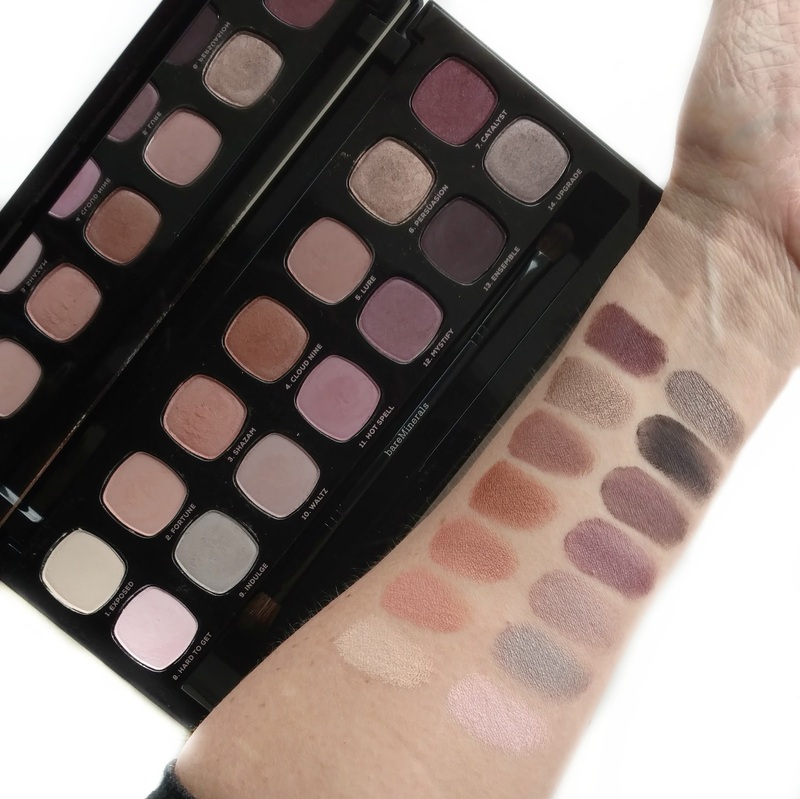 Hey Jen and FYI -- there's a new 14.0 palette on Nordstrom's site today called Bare Naturals. I know I'm going to get it and, since we both love these palettes, I thought you might be interested too. -- Christina D.